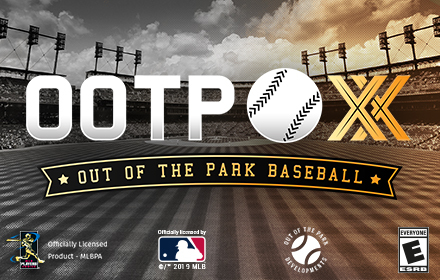 OOTP 20 sees the American League East division producing three-fifths of the AL’s playoff teams, with the Boston Red Sox again taking first place and the New York Yankees and Tampa Bay Rays securing the Wild Card spots. The Cleveland Indians will again take home the Central division crown (their fourth in a row) while the Houston Astros will pull off a three-peat as West division champs. However, Houston will emerge as the AL pennant winner, denying Boston a chance to defend its 2018 World Series championship. 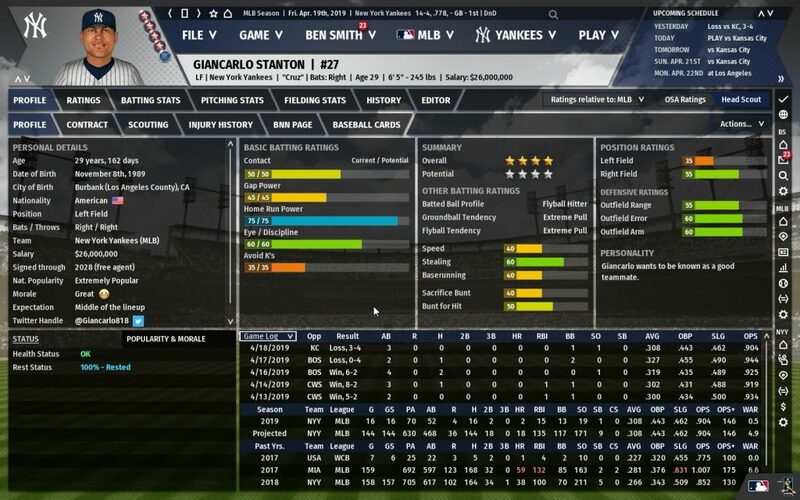 OOTP 20 says “East is beast,” as the NL East will also produce three-fifths of the NL’s playoff teams. 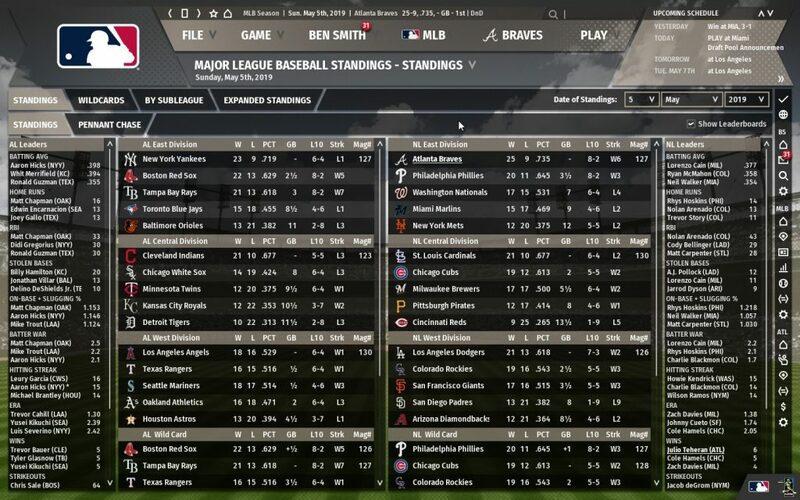 After a disappointing 2018, the Washington Nationals will win their division, with the Atlanta Braves and New York Mets taking the Wild Card slots. In the Central, the St. Louis Cardinals will win their first division crown since 2015 while the Los Angeles Dodgers will take home their seventh straight division title in the West. However, Los Angeles will fail to appear in its third straight World Series because Bryce Harper’s former team will make the trip instead. In the World Series, the Washington Nationals will end decades of fan frustration going back to the days of the Montreal Expos as they defeat the Houston Astros to win the championship. Harper, Machado, and Guerrero, Jr.
Giancarlo Stanton is projected to hit 47 home runs — his New York Yankees teammate Aaron Judge is expected to knock 40 dingers, giving the team two of the top three home run hitters. The Texas Rangers’ Joey Gallo is sandwiched between them with 43. If more advanced stats are your thing, the Los Angeles Angels’ Mike Trout is expected to tie Jose Ramirez of the Atlanta Braves with 7.5 WAR. The Milwaukee Brewers’ Christian Yellich is projected to post 6.5 WAR.